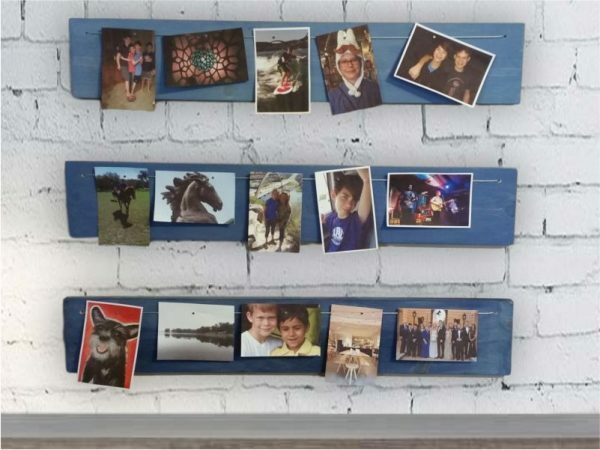 Create this stunning SET OF THREE display boards! Show off your pictures, holiday cards and clippings on these sleek photo boards. 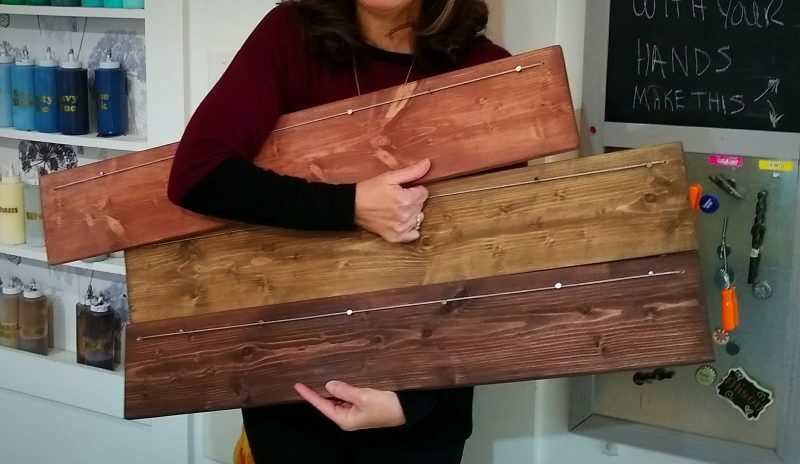 Think outside the box: make these into place card holders for a wedding, shower, party or even create a “chocolate advent calendar”. 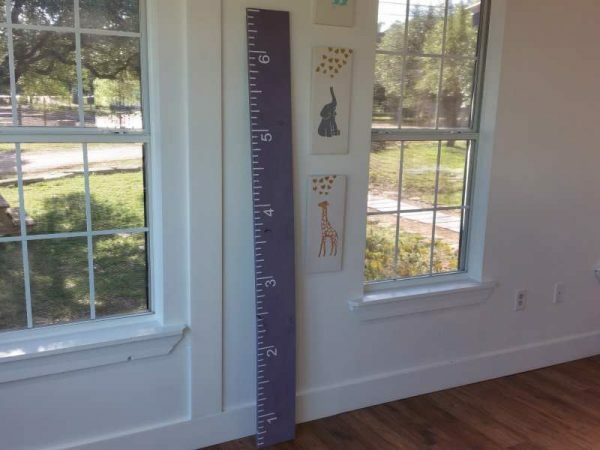 Each board is 32″ x 6″. 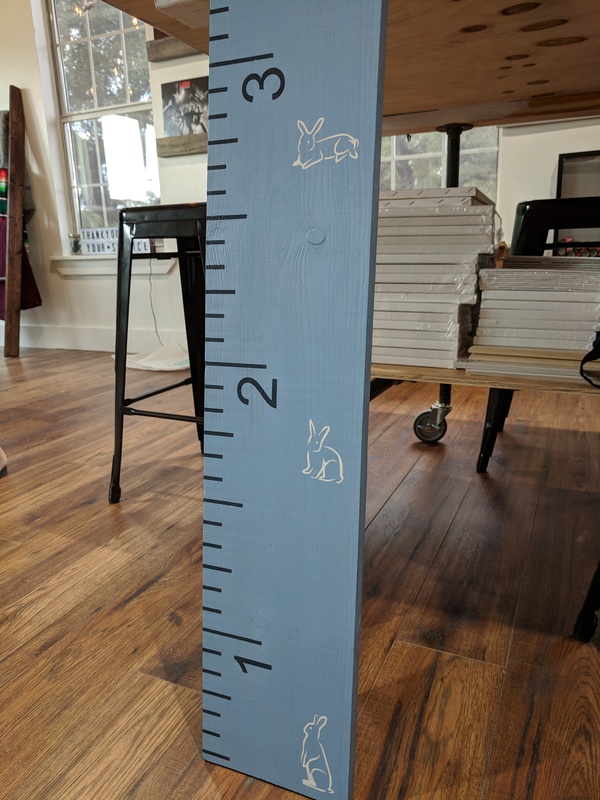 This project comes as a set of 3. 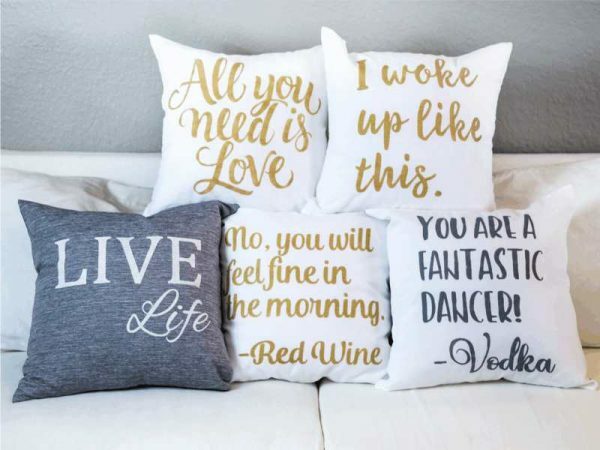 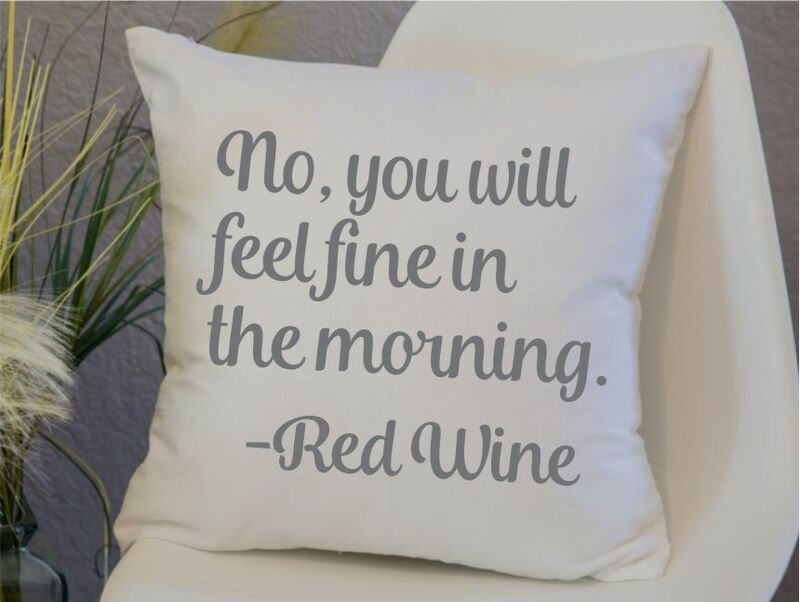 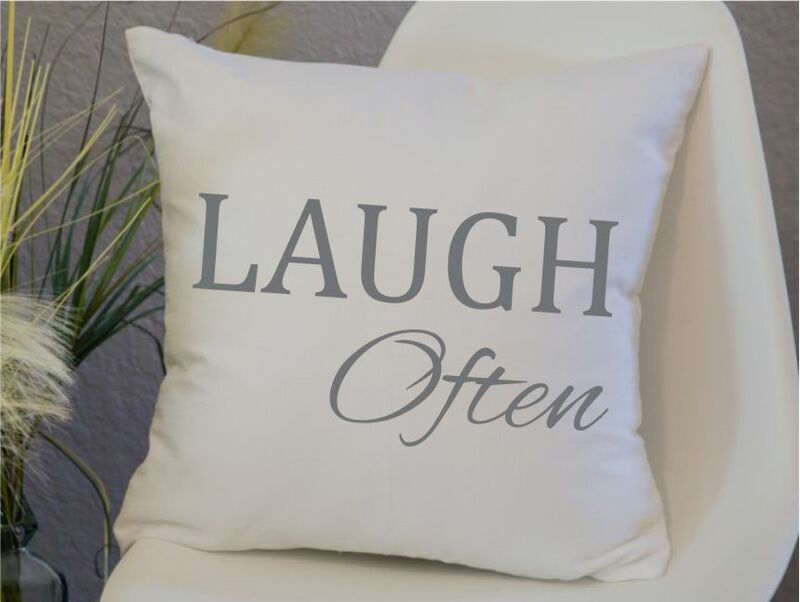 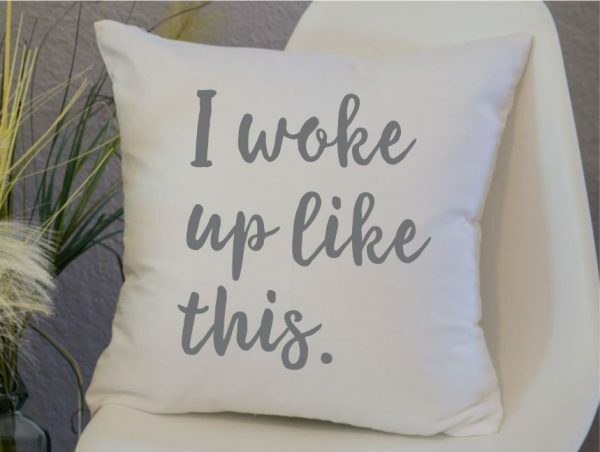 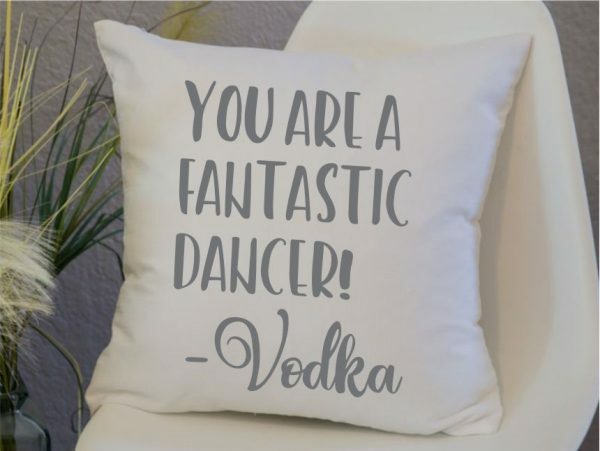 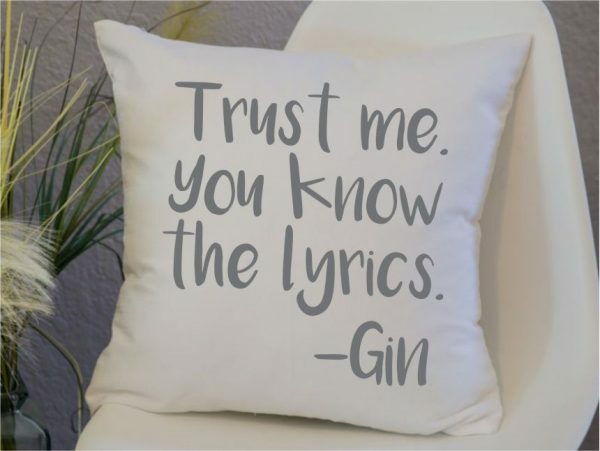 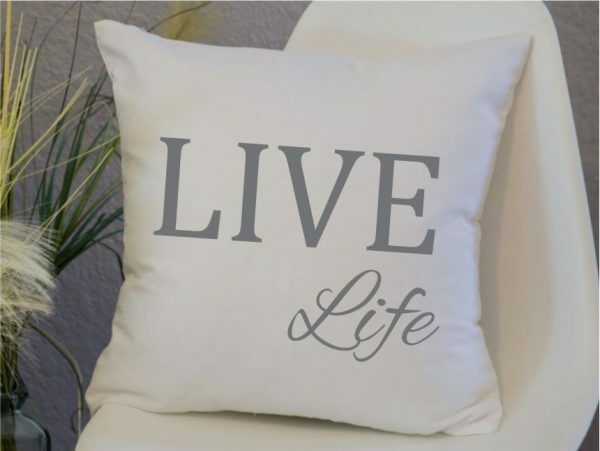 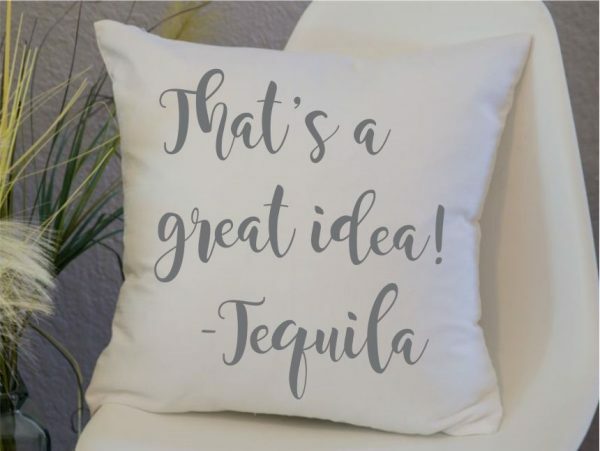 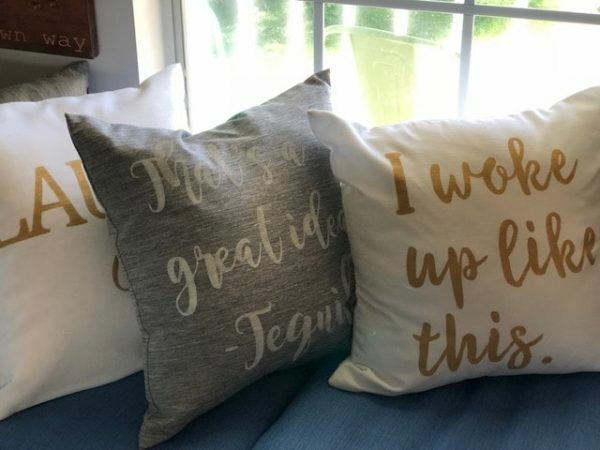 Make the most of your pillows by making them two sided: Put a “nice” saying on one side and a “naughty” saying on the flip side for a fun change of pace. Choose 2 sayings from 9 predesigns. Learn to apply vinyl to fabric and then paint and create two pillows in one. Includes filler. 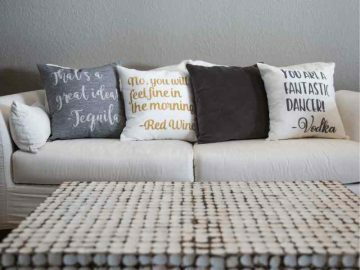 Pillows as shown in a choice of grey, beige or white. 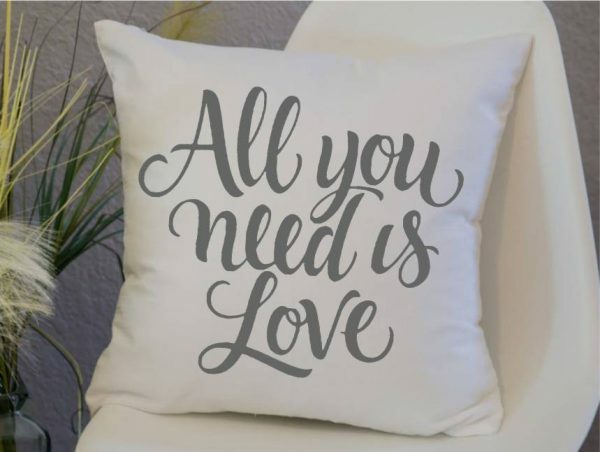 Choose your text color in the studio to match your style. Keep track of one or more kid’s growth over the years on this fun, giant ruler that can move with you if you ever relocate. Decorate with hearts or other shapes in class, choose your colors, and make this fit perfectly within your own decor. 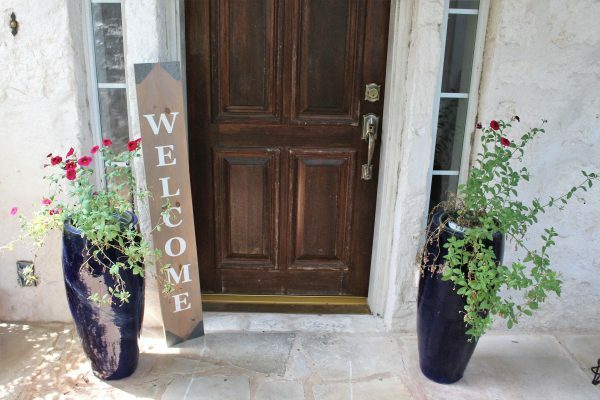 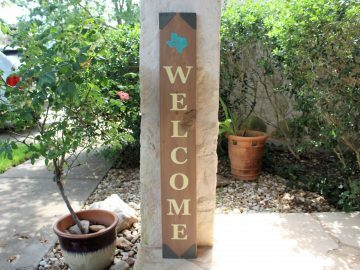 The “Welcome” long board turns your front porch into a warm, inviting, memorable first impression. 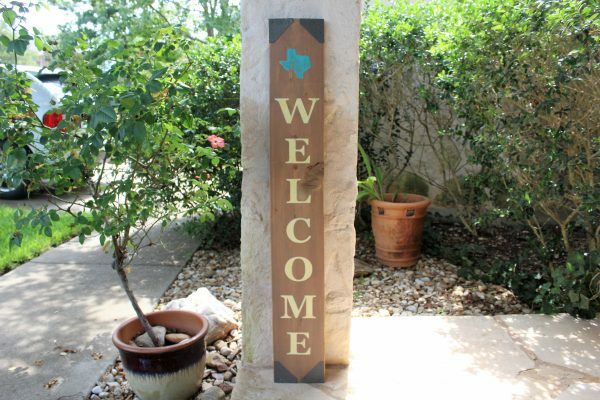 It features hand-cut, metal corners make by a local Austin artisan. You choose colors for your wood and letters, and embellish with a design such as the Texas map or a flower, heart, dog paw, or beer or wine glass (available to choose in class). 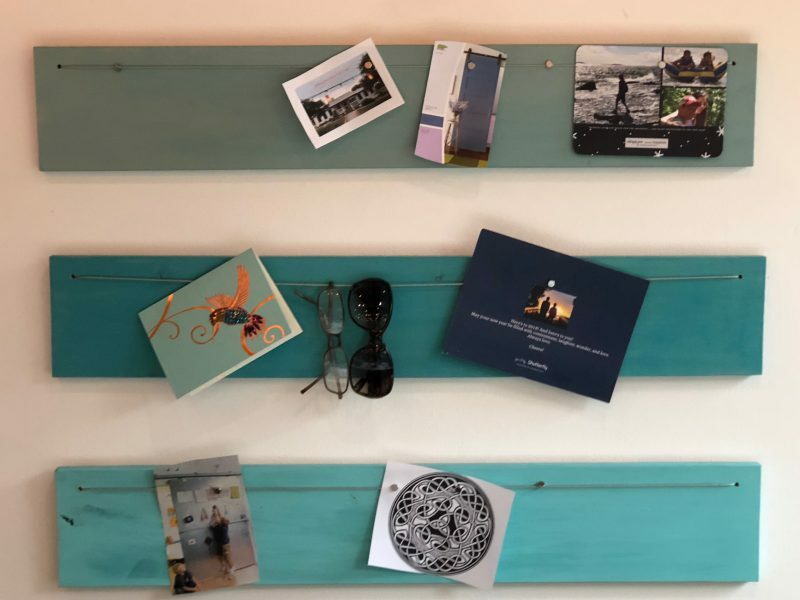 You will customize your board and attach the metal corners. Proudly display a warm welcome – handmade by you! 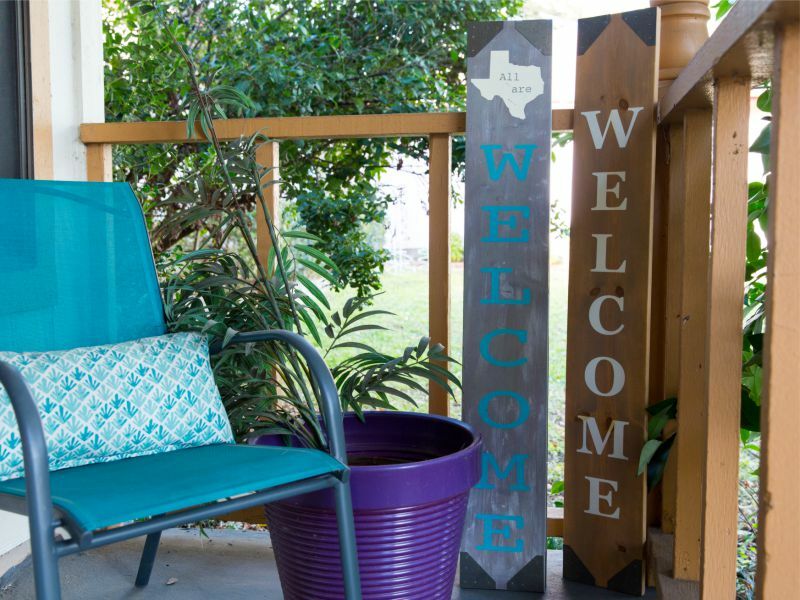 Whether you are letting your neighbors know that happy hour is on, or displaying your Texas pride, this is for you.